A proposal to transform two buildings on Brisbane’s Charlotte Street into a single 26-storey commercial tower has been given the green light by council. Wealth manager Ashe Morgan and developer David Mann's DMann Corporation lodged a development application to the Brisbane City Council in December proposing the redevelopment of the former Health and Forestry Buildings. Project director Michael Bruderlin said the decision to connect and refurbish the two buildings located at 155 Charlotte Street and 150 Mary Street is 230 per cent more environmentally friendly than a new build. The developers finalised the cross-block hub acquisition late last year for $66 million. The Fender Katsalidis-designed plans include a new public laneway connection between the two streets, three additional podium levels, infill between the two existing buildings and increased building height for the extension to create the high-rise levels. The design celebrates the existing heritage-listed façade at the Charlotte Street entrance. The proposal outlines that the adjacent footpaths will be widened to facilitate greater engagement with the heritage façade and new “Mary Charlotte” laneway. “The building embraces and enhances its natural environment in many ways. The land area equivalent has been dedicated to outdoor spaces throughout the building that will promote wellbeing, social and collaboration spaces,” Bruderlin said. 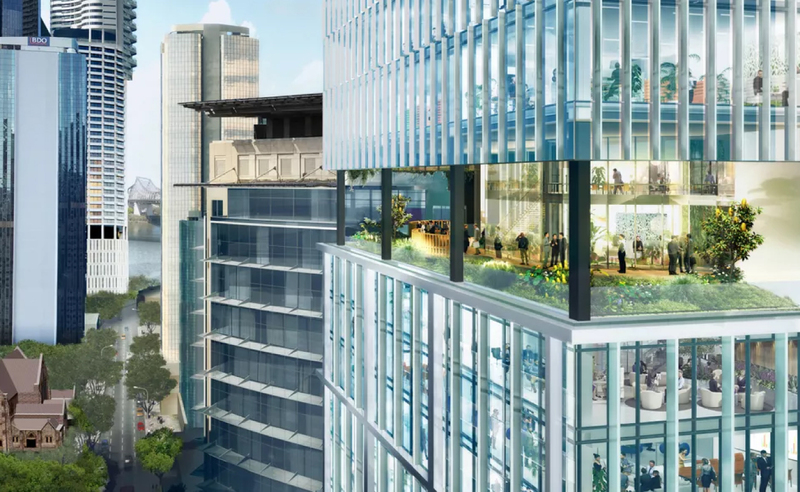 Other features of the tower include a health and well-being centre, conference centre and flexible work areas that Mann says will give the building life and vibrancy. 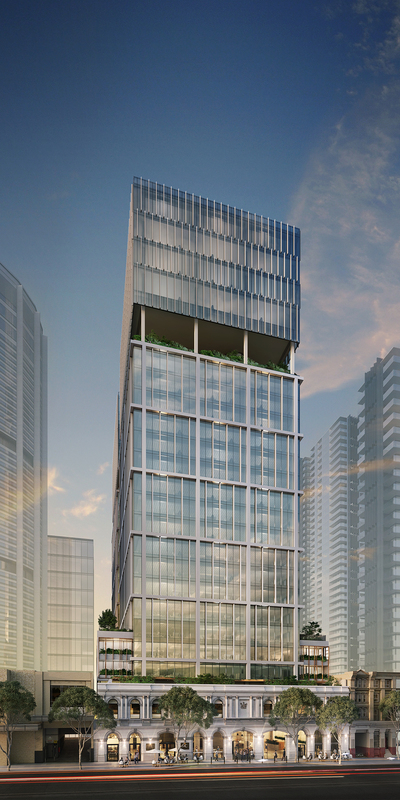 Completion of Midtown Centre is expected by mid-2020.